The Madison is designed to provide a big voice in a small package. The flutes are ideal for accompanying a cantor or small group of singers in liturgical settings. These are also elegant enough to play the continuo part in chamber music. Adding the Principal 2 gives it the power and clarity to lead a small congregation or hold its own in larger orchestral works. If a mutation is to be included, we offer the customer a choice of pitch and tonal quality. The entirely self-contained instrument is designed to be portable. 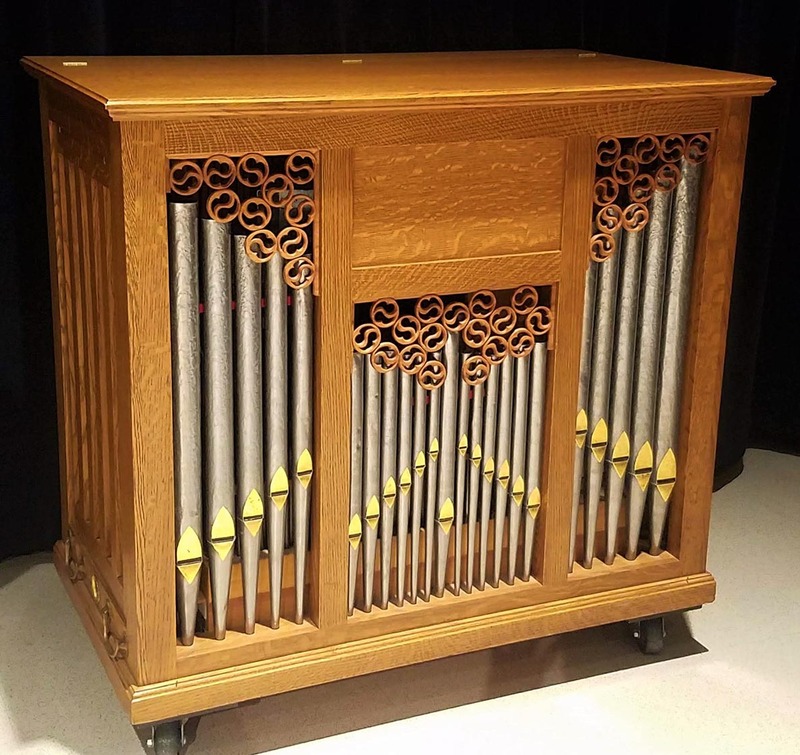 The upper case contains the pipes, chest, and key action and lifts off the base containing the wind system. 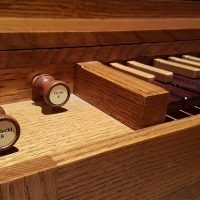 With the handles provided, the organ can be carried easily by two people. The case is built of your choice of hardwood and features a music desk, fold-down locking keyboard cover, and a removable panel to protect the façade while in transport.